Best Chili Recipe Ever (World's Best Chili!) - VIDEO!!! Thank you Jimmy Dean for sponsoring this rendition of one of my all-time family favorites. All opinions are my own. This Best Chili Recipe has been in our family for years. I’ve had a lot of chili in my life, from white chicken chili to vegetarian chili, and this is hand’s down the BEST CHILI I have ever tasted. Two types of meat, lots of beans, and loaded with cheese, sour cream, crackers, and more! You will want to eat this Best Easy Chili Recipe year round, not just the cold months. This isn’t just a good chili recipe, it’s the World’s Best Chili! This isn’t just a good chili recipe, it’s the BEST Chili Recipe. I was blessed to grow up in a family with Susie from Simply Sated as my mom. Lucky…girl. She spoiled us nightly with delicious meals and I can hear my dad saying “Everyone who thinks Mom made a great meal, hold up your hand!” I’m ashamed to say that I never learned how to cook as a young person, because I just preferred to eat what my mom was fixing rather than learn for myself. I mean, can you blame me? Have you SEEN her site? 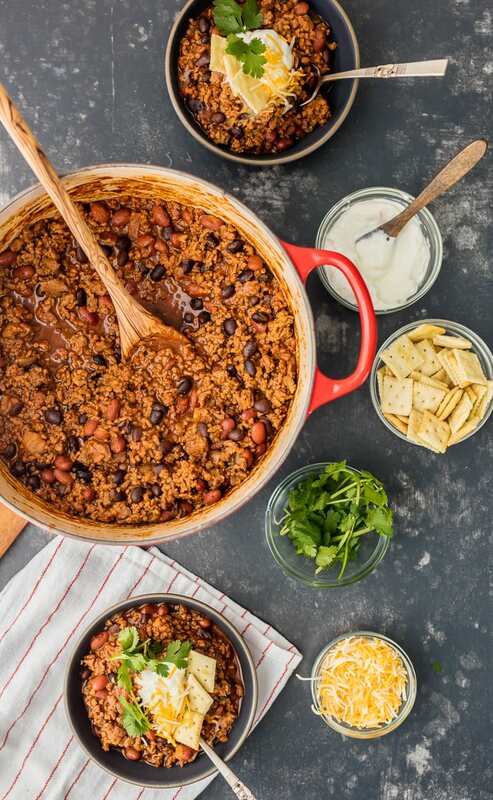 This Best Chili Recipe uses two types of meat for ultimate flavor and juiciness. Versions of the best chili recipe have been in our family since my Great Grandma Lil would make it on Christmas Eve. It’s still a tradition in the Adee family today. 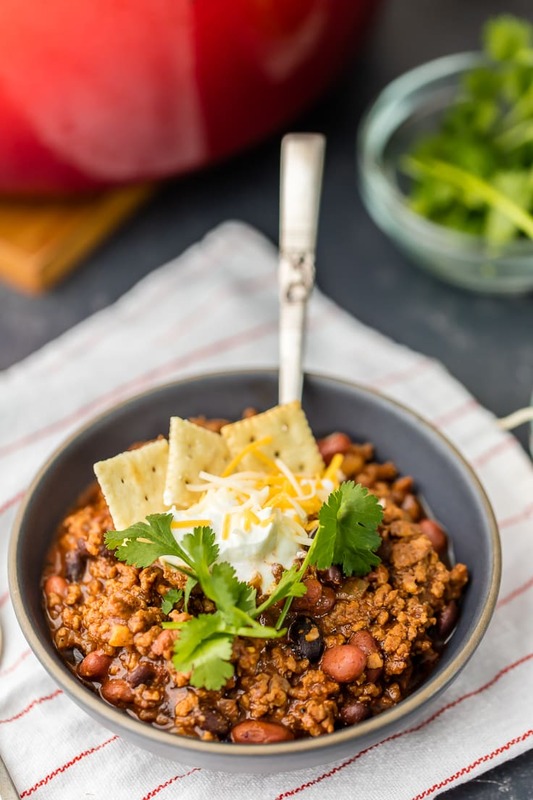 When I decided I wanted to FINALLY learn to cook (cough…at age THIRTY…cough), my mom drove from Kirksville to St. Louis to teach me the staples, and of course this BEST CHILI RECIPE was on the list. We laughed at my lack of knowledge as she taught me her best tips and tricks, and she left my freezer full of all the best meals. There were many Tupperware containers filled with this chili. It got me through months of being a single social worker! (THANK YOU, mom) It was a weekend that inspired a life change, a passion, a new career, a LOT. Pretty awesome looking back on it. 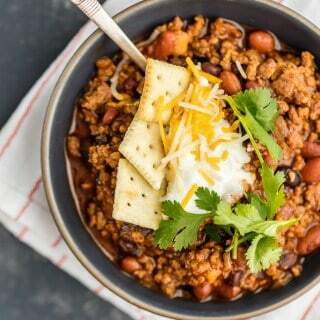 This Chili Recipe is our version of a classic. The best chili recipe…EVER. I used Jimmy Dean Sausage, because, is there anything better than Jimmy Dean? It’s what I grew up on and it’s a brand that I can trust for quality. What more can you ask for? 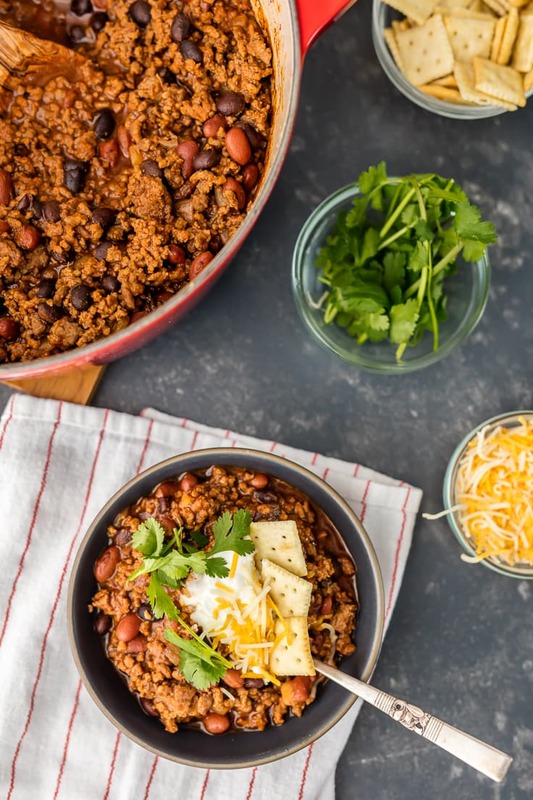 This CHILI RECIPE has been made for holidays, week days, date nights, and every day in between. It’s even been made while tailgating at the Royals 2015 ALDS Championship game (Some of the best memories of my life!). 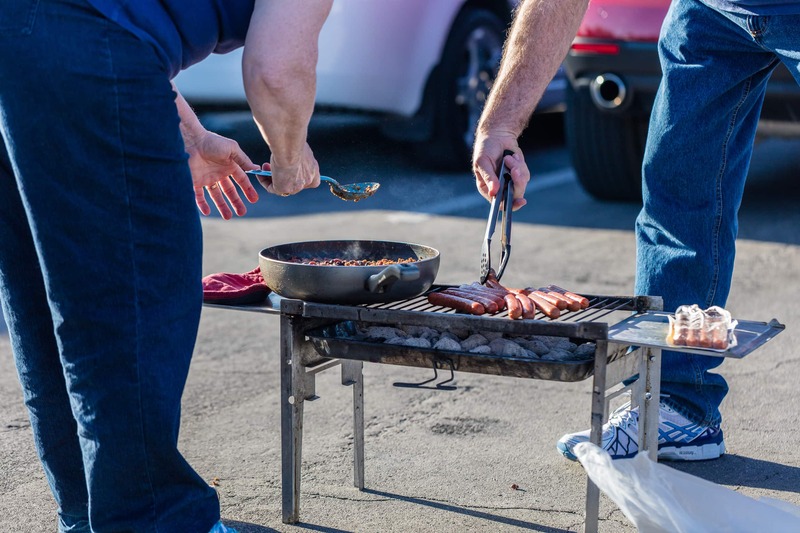 I made fun of mom for cooking chili dogs in Kauffman’s parking lot, but they sure were tasty. Could it be the reason we won it all?? I hope your family enjoys this recipe in the future as much as ours has for years. It really is the best ever. 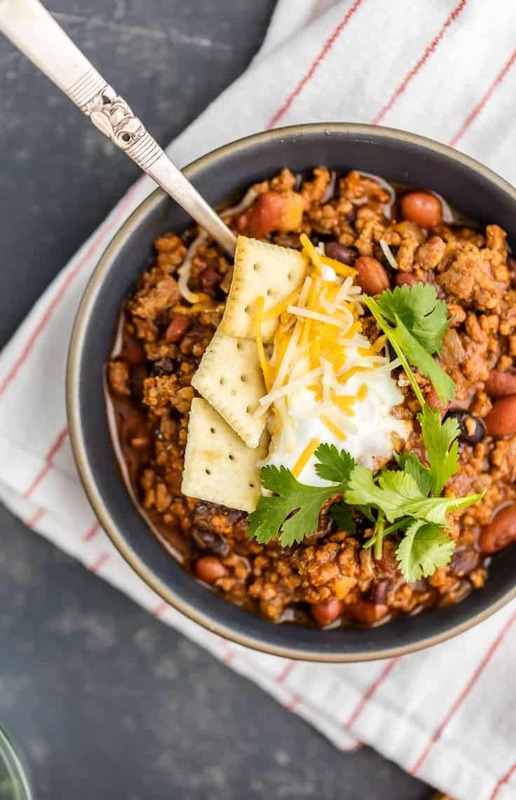 If you’re wondering what to pair this World’s Best Chili with, we recommend Oatmeal Molasses Rolls, or going all the way and making the BEST CHILI DOG RECIPE ever as a special treat! 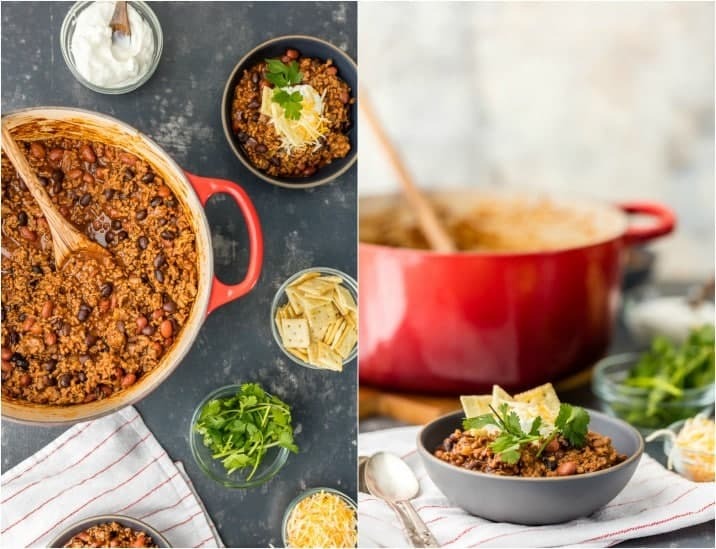 How to I make my chili thicker? 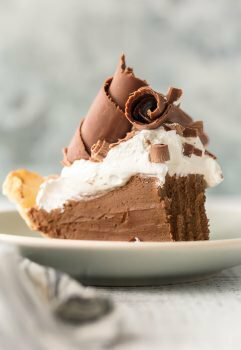 If you make this and end up wanting it thicker, just add a few tablespoons of corn starch or flour and some hot water. Thicken to your liking and allow to simmer while stirring. So easy! What are the best kinds of beans to make chili? 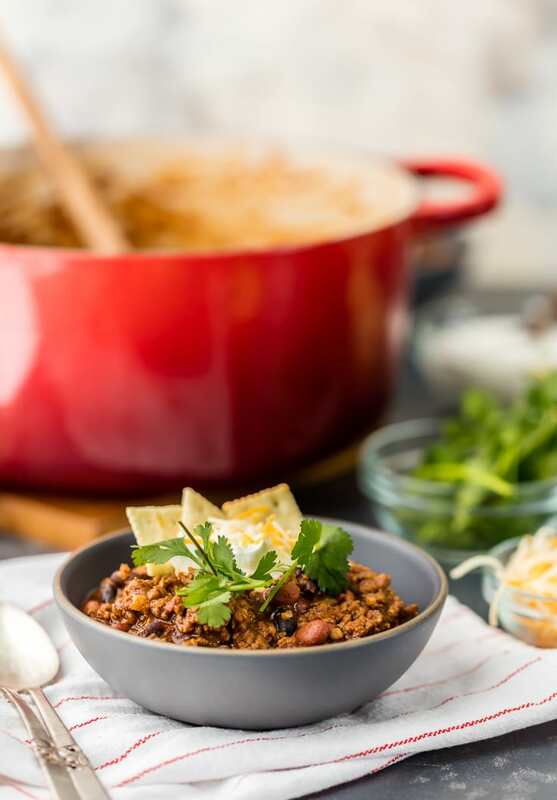 We use black beans and red beans in this BEST Chili recipe, but you can also use pinto or kidney beans! I love the added flavors, colors, and protein! 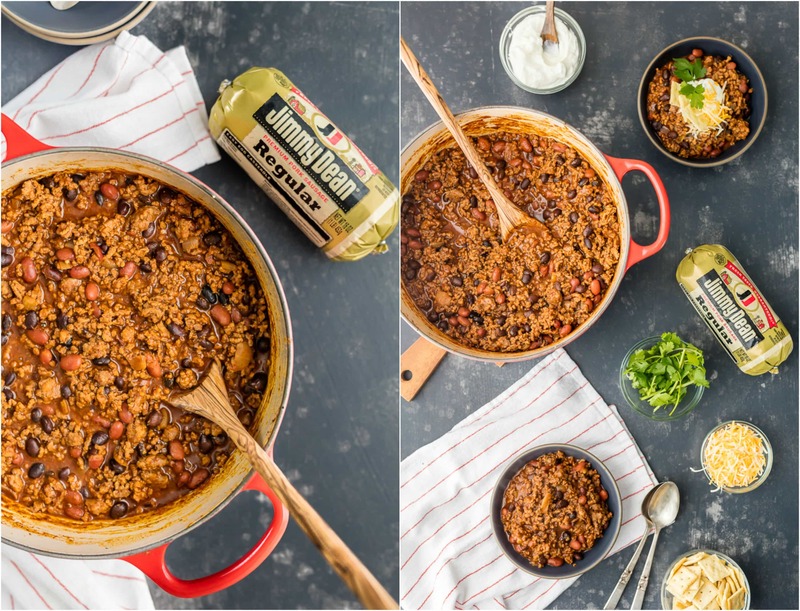 How long will chili keep in the fridge and freezer? If not eating, you should freeze or refrigerate within 2 hours of cooking. It can keep in the fridge in an airtight container for up to 3-4 days, or in the freezer for 4-6 months. Awesome, right? The best ever chili recipe deserves a place in your recipe box and the chili deserves a place in your stomach! 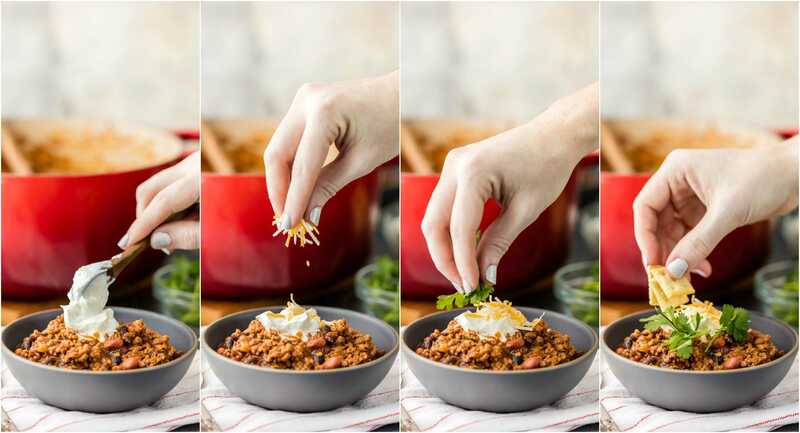 If you’re looking for a quicker chili recipe, check out our video below for our 6 Ingredient Lazy Day Chili! Don’t forget to also check out our favorite White Chicken Chili with Cream Cheese, Crockpot White Chicken Chili, and Instant Pot Chili Mac! This Best Chili Recipe has been in our family for years. I've had a lot of chili in my life, from white chicken chili to vegetarian chili, and this is hand's down the BEST CHILI I have ever tasted. Two types of meat, lots of beans, and loaded with cheese, sour cream, crackers, and more! You will want to eat this Best Easy Chili Recipe year round, not just the cold months. This isn't just a good chili recipe, it's the World's Best Chili! Heat a large skillet over medium-high heat. Add the sausage and crumble as it cooks. When almost fully browned, add the onion and garlic. Saute until onion is translucent, about 2-3 minutes. Drain oil if necessary and set aside. Place ground chuck in a Dutch oven and use a wooden utensil to crumble. Cover completely with water. Bring water to a boil and boil the meat until brown. Drain the beef in a colander and return to the dutch oven. Add the sausage and onion mixture to the ground chuck and stir to combine. Mix in the tomato sauce, diced tomatoes, both types of beans, vinegar, Worcestershire sauce, chili seasoning, ketchup, mustard, and salt and pepper to taste. Mix well and cook the chili, stirring often, over medium-low heat at least 1 hour or until chili has thickened and flavors meld. If it cooks down too much, you can add a bit more water. Serve with favorite toppings such as chopped fresh cilantro, chopped onions, cheese, crackers, hot sauce, sliced jalapenos, or a topping of your choice. 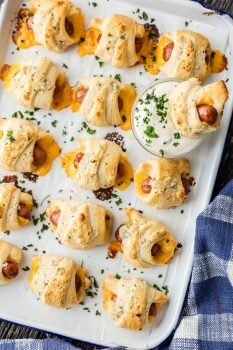 I loved this post, I love your photos, I love this chili, I love Jimmy Dean Sausage, and I can’t wait to try your spin on this family favorite. Terrific job, Bec! I’m getting so warm and toasty just looking at this chili. It really does look like the best chili ever! Where in St. Louis can I find Original William’s Chili Seasoning? This sounds yummy! Also, if I wanted to omit the sausage would I double the chuck? Yes you can definitely double the chuck if omitting the sausage. And I have found Williams at Dierbergs and at Schnucks! It would be in the condiment section or in the section with the chili beans. Thanks for saying hi, happy to see someone from STL! That chili looks yummy! Pinned to my chili board and printed. But I first hopped over to Mom’s blog.Signed up,pinned,printed her tortilla soup. Think the rate some good genetics going here! The brain was absorbing as you watched mommy cook! And adorable you BOTH are! Thanks! You are too sweet Teri! You completely made my day and I’ll make sure my mom sees your comment as well. Thank you!! I love chili! This seriously does look like the best ever! Thanks Michelle! Hope you love it! Your Mom’s recipes are THE BEST! Thanks for sharing this one. They are!!!! Thanks girl appreciate it! Recipes that are passed on through the family over the years are the greatest. Thanks so much for sharing with us! I plan to make this chili over the weekend but have a question. Why is the ground chuck cooked in water instead of being cooked in a skillet? I’m sure there’s a good reason! You really can do it either way. My mom swears by boiling because she says it gets a more even cook, but I like to do whatever is easier at the time. Whatever your comfortable with is best :) Hope you LOVE the recipe! So excited that you’re giving it a try!